If a tree falls in Nanjing, does it make a sound? 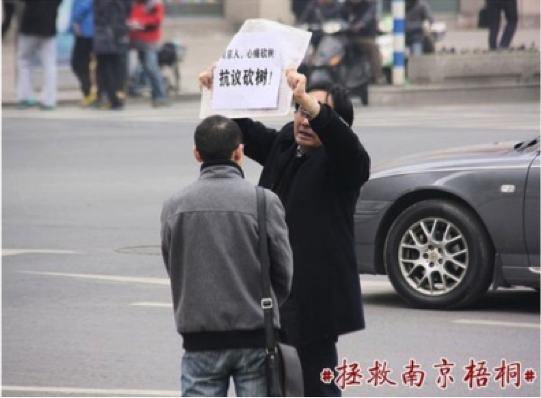 Fan Xia, Master of Design Graduate and PhD student here at DJCAD, University of Dundee was incensed when she saw this picture of a solitary figure protesting against the cutting of trees in central Nanjing to build a subway line. She designed a poster for a viral campaign and within two days The posters had over 20,000 hits, more than 5,000 forwards and comments on Chinese social networking sites. The cu tting of the trees has now been halted pending an enquiry. 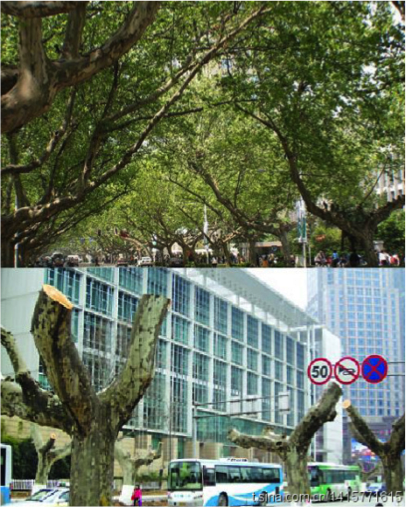 If a tree falls in Nanjing it resonates across the world. This entry was posted in intelligence. Bookmark the permalink.